We are 6th/7th graders from Sepulveda Middle School in North Hills, California. Our project is focused on improving our school’s reputation in the community. Why? Our school once had a terrific reputation but has declined over the years, causing our enrollment to decline in our Gifted Magnet and in our home school. Students in our feeder elementary schools are choosing not to attend our great school of of the larger elementary schools that should go to Sepulveda decided to have a 6th grade on campus. There is also a new charter school very close by that also has many of our students. The impact area is community engagement -We focused on our school community including staff, administration, teachers, teacher aides, leadership students and our own families. What we did to find out the need to improve our reputation before and what exists today was our own observations and the surveys we took in the beginning of the project. We can see with our own eyes and ears when kids use bad language and plan to carry out fights. We know this first hand when in Dec. two of our own group members decided to fight!!! This really shook us up and divided our group so it was decided that we needed to make changes in our members. 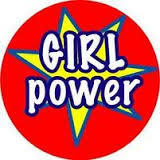 That's when we created a flyer to get other girls to join our group. We also toured our school campus physically, and our school website. On our website under "Students", the button for student activities appeared to have only the work or art and nothing else for activities. We knew we needed to get information from members of our school community. We created 3 questions for the Administration, staff, teachers, Leadership class and our own families to answer so we could get an idea of what the school community thought about "improving our current reputation". The evidence from our initial survey, our own observations in the Fall semester, the fact that most of our group did not have a permanent teacher for our English/History core classes because teachers would not apply, the Principal told us that our enrollment was down by about 200 students, and we heard that we have a new principal because of the way the school was handling kids that are misbehaving. 1. 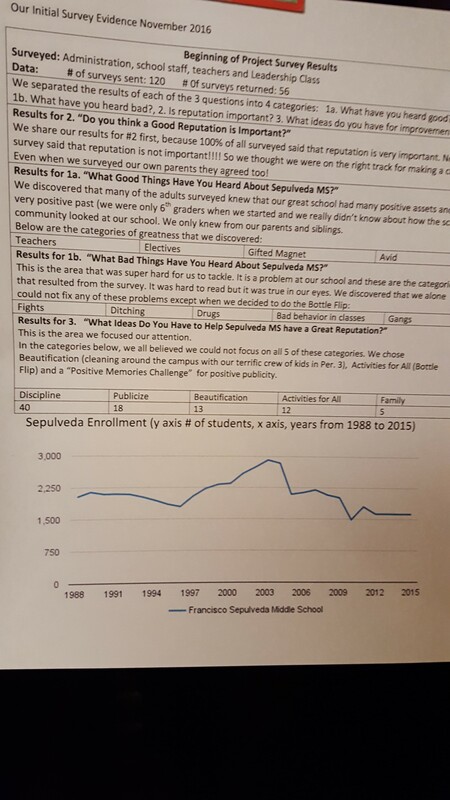 What (good and bad) things have you heard about Sepulveda MS? 2. Do you think a good reputation is important? 3. What ideas do you have to help Sepulveda MS to have a great reputation again?